The Elizabethan Theatre Facts provide some fast and fun interesting information via Elizabethan Theatre Facts. The time of William Shakespeare was an exciting time for the Elizabethan theatre. New plays, new audiences and lots of money to be made by the theatre owners, playwrights and actors. Read about some interesting Elizabethan facts - a fast way to increase your knowledge about the Elizabethan theatre, including the Globe. TOP 10 ELIZABETHAN THEATRE FACTS! Fun Fact 2 - James Burbage built the very first theatre in 1576 with his brother-in-law John Brayne, appropriately named 'The Theatre'. Fun Fact 3 - The Globe was built in a similar style to the Coliseum, but on a smaller scale - other Elizabethan Theatres followed this style of architecture - they were called amphitheatres. Fun Fact 6 - William Shakespeare and his company actually built TWO Globe Theatres! Interesting Facts and information about the development of the Elizabethan Theatre. 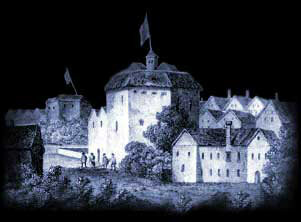 Additional details, facts and information about the Elizabethan Theatre can be accessed via the Globe Theatre Sitemap.